Lee Harris Pomeroy, architect, designer, and preservationist, was instrumental in saving historic Broadway theaters during the early 1980s. 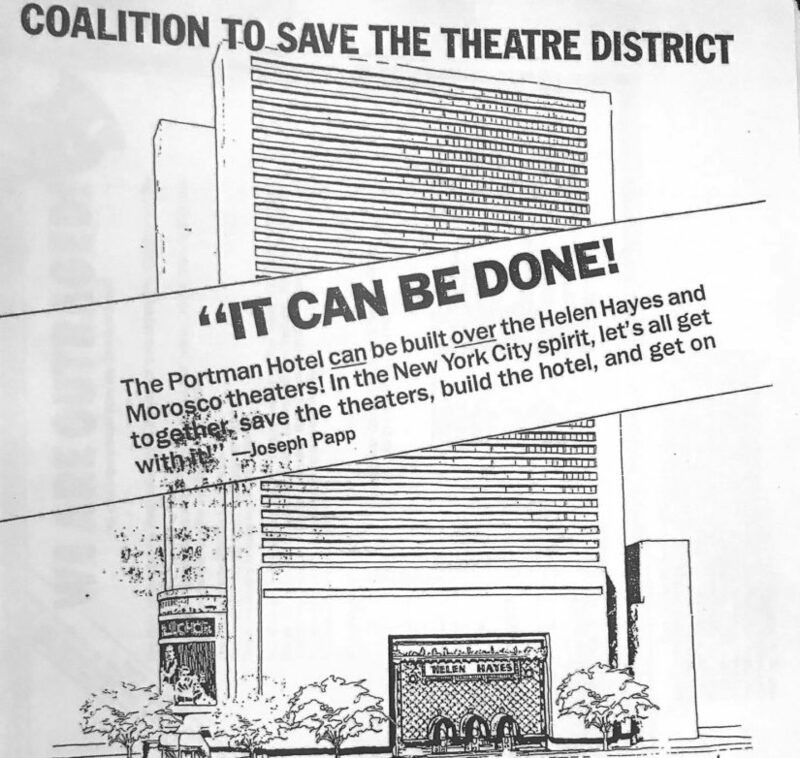 As preservationist Roberta Brandes Gratz recalled, Pomeroy was “the only architect with the guts to stand with those of us trying to save the incomparable, historic Morosco and Helen Hayes theaters.” When the demolition of historic Broadway theaters was advanced to make room for a new Marriott Hotel in Times Square, Lee collaborated with preservation groups, going on to help draft the plan to establish the Historic Broadway Theatre District. the New York City area.